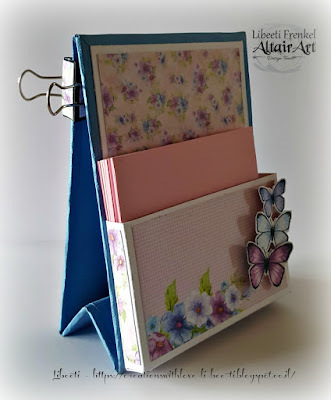 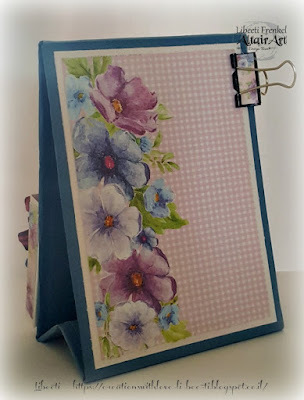 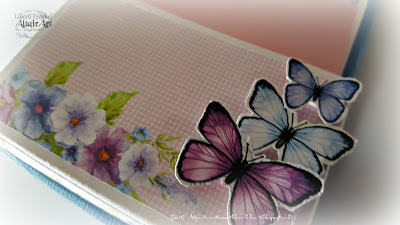 Hello dear fans, it's Libeeti here, and today I'm sharing with you a vertical memo pad holder I've made, using the oh-so beautiful Altair Art papers. This paper holder measures 5.5"x 4" (14.5 cm x 10 cm), and it has a 3D pocket to hold the memo papers on one side, and a decorated clip on the other side, so it can be a board where you can attach notes or photos. 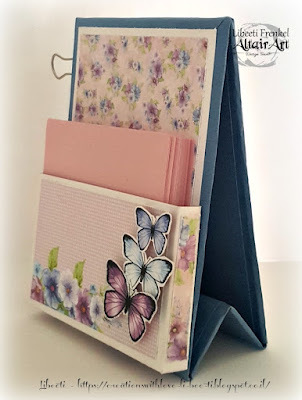 The base is made out of a chipboard, and the construction was build so it can stand on the table. There's still plenty of time to join to our challenge, so make something beautiful for a special day, and share it with us.